For many people, career success comes at the cost of a relatively unfair work-life balance and it can often feel like your job dominates your whole life. 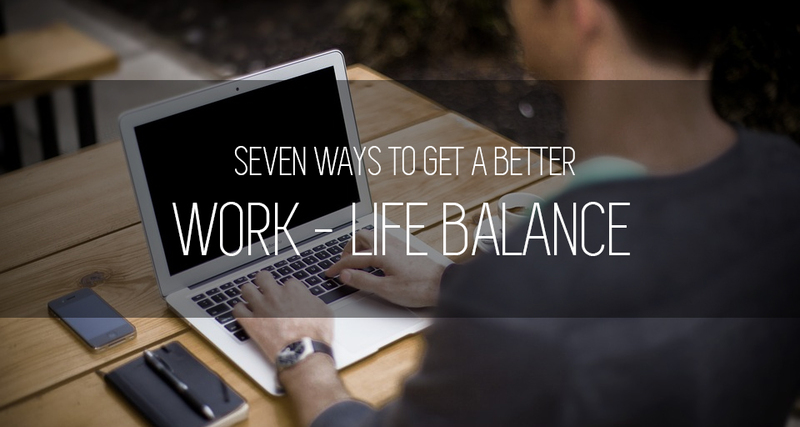 Here are seven ways for you to achieve a more realistic work-life balance so you can feel happier at home and more productive at work. Sometimes a working lunch is a great way to get on top of some work or a chance to catch up with colleagues. But ultimately a working lunch is still work and it means that you are depriving yourself of some much-needed downtime during the day. If you start to get into the habit of having lunch at your desk every single day it will be disastrous for your work-life balance. A lunch break is a legal requirement and you definitely need to take advantage of it more often than not. Get away from your desk, even for just half an hour and you’ll return more productive and feeling better about work. One of the joys of smartphones is the opportunity to have your work emails available to you at every hour of every day. Of course in the modern working environment it can be extremely useful to be able to respond immediately to an important email, rather than having to wait until the next morning. The problem is that once you start responding to important emails you can slip into the habit of simply responding to every email and getting caught in a process where can you literally never get away from them. If you must look at your emails, consider turning off notifications and simply looking once per night just to check if there’s anything vital. If not, you can get back to relaxing at home. Career coaching can fulfill a number of roles and it can be about a lot more than just getting ahead in your profession. You can speak to a career coach about ways to create a better schedule for you and improve your work-life balance. Funnily enough this can actually lead to you being more successful in your career too – if you are less stressed and anxious you may find you are able to perform better. This is a misconception that if you want to get more work done, the solution is to work extra hours. In reality this isn’t the case. Studies show that a 40 hour week is optimal for productivity, and that if you try to work extra hours you’ll simply have the effect of leaving your less productive throughout the week. Interestingly, productivity in the UK has not increased at the same levels after the financial crisis as it has in many other European nations. We need to focus on finding better ways to be productive rather than trying to work more. Too many people take their work home with them. This doesn’t necessarily mean you’re literally doing work tasks at home, but it can often mean you’re devoting a lot of time to thinking about work when you should be enjoying your down time. 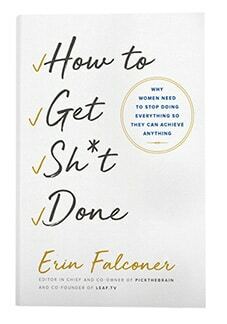 If you find yourself constantly overworked, ask yourself whether you are doing more than your fair share. Doing too much work doesn’t do anyone any good – it leaves you feeling stressed and it leaves colleagues feeling undervalued. You need to learn to trust the other members of your team and give them the opportunity to shoulder some of that burden. Delegate tasks when you get the opportunity. Work is important and clearly you need to spend time focused on your career, but this should never come at the detriment of your personal life. If you’ve fallen into a routine where your job always comes first, it can pay to switch things up and start placing more of an emphasis on your home life. This should actually benefit your career too – having a better work-life balance is good for you and will put you in a better mind-set to succeed at work. Article provided by Mike James, an independent content writer with an aching desire to figure out the illusive work-life balance. For the information in this email, London-based CBT, Life Coach and Psychotherapist Klear Minds were consulted.